People expect listening to be more than listening … whereas I love sounds just as they are and I have no need for them to be anything more than what they are. 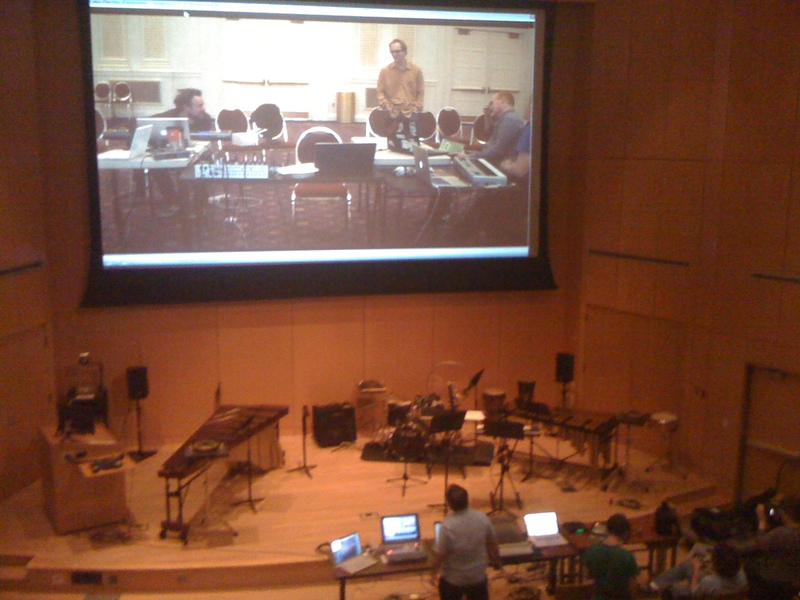 The Salt Lake Electric Ensemble’s approach to the piece involved a prolonged discussion of ideas for individual sound sculptures. Several graphical scores were produced during this phase of the production. Each member of the group then went about producing sounds individually for each sculpture. Finally, the group met for a series of rehearsals where the group sound was refined, and the individual sound sculptures were put into the final sequence. The Salt Lake Electric Ensemble was formed in June of 2009 with the intention of approaching Terry Riley’s 1964 masterpiece In C electronically. The resulting recording and performances have earned the group critical praise throughout North America and Europe. They continue to engage in the music of 20th and 21st century composers, and plan to record new works and to create sound and light installations in the near future. They are on the web at Sleearts.com. The personnel of the group changes from project to project. Those involved in the music you will hear this evening include Matt Dixon, Ryan Fedor, Charlie Lewis, Oliver Lewis, and Greg Midgley. An IUPUI-based multidisciplinary arts group, the Telematic Collective creates original works that interweave aesthetic expression with information technology and computer research. Telematic art synthesizes mediums such as live music, dance, drama and visual arts with Internet-based interactive media and performance content. The resulting productions connect media-rich spaces to the real world using modern communication systems to create powerful and evocative experiences. This is a new and highly innovative medium whose possibilities are being explored by research institutions, visualization labs and computing centers worldwide. Since 2007, the Collective has been coordinated through the Donald Louis Tavel Arts Technology Research Center at Indiana University Purdue University Indianapolis (IUPUI). The group consists of graduate and undergraduate students enrolled in the Department of Music and Arts Technology at IUPUI. These students, along with their faculty members, then interface with professionals, other students and interested artists working in music, dance, drama, literature, visual arts, videography, software development, information technology, scientific inquiry and computer engineering. Together these collaborations, focused on computer interactivity and artistic use of telecommunications, create new and original media-enriched works for the performing stage. You are currently reading Concert Program for Hear/Here the Future Part 1 at Telematic Collective.